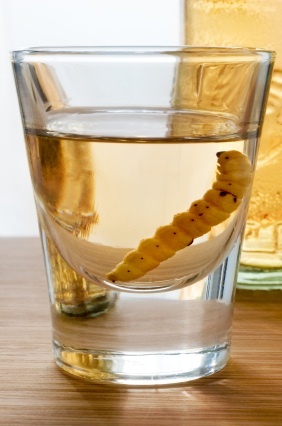 The “Tequila worm” is perhaps the biggest misconception associated with Tequila. It is more strongly linked to Mezcal, an agave-based spirit produced outside of Jalisco in Mexico, however only certain bottles of the spirit, usually from the state of Oaxaca, are actually sold with a worm. The worms are the larvae from the Hypopta agavis moth, which lives of the agave plant and occasionally got cooked up in the distillation process. The concept of dropping a worm into a bottle of Tequila was dreamt up in the 1940s by Jacobo Lozano Paez as a marketing gimmick, which proved successful. It has since become tradition, outside of Mexico, to eat the worm. As Tequila education grows in US, specially in California, tequila aficionados are well versed in how to drink each Tequila Category. Salt and lemon is ok for a Blanco Tequila but maybe not for a Blanco 100% agave Tequila, but still acceptable. Tequila Shots are now very popular, but they shall be of Blanco 100% if you do not want a very bad hangover. Tequila 100% agave reposado and Anejo are recommended as a sipping drink. Europe is still uneducated about Tequila. In Europe most persons still consider Tequila as an Espiri Gonzalez’s Spit fire drink, just as in US was considered 15 years ago. The opportunity for 100% Tequilas is huge.